Thought you all might enjoy the press release my beautiful publicist wrote about my new book! It hits the shelves July 1st but rumor has it you might get it before if you’ve pre-ordered. From the seductive sirens of Homer’s Odyssey to the enchanting ballads of the iconic Disney princess Ariel, mermaids have fascinated popular culture for centuries and continue to inspire the imaginations of sailors and landlubbers alike. 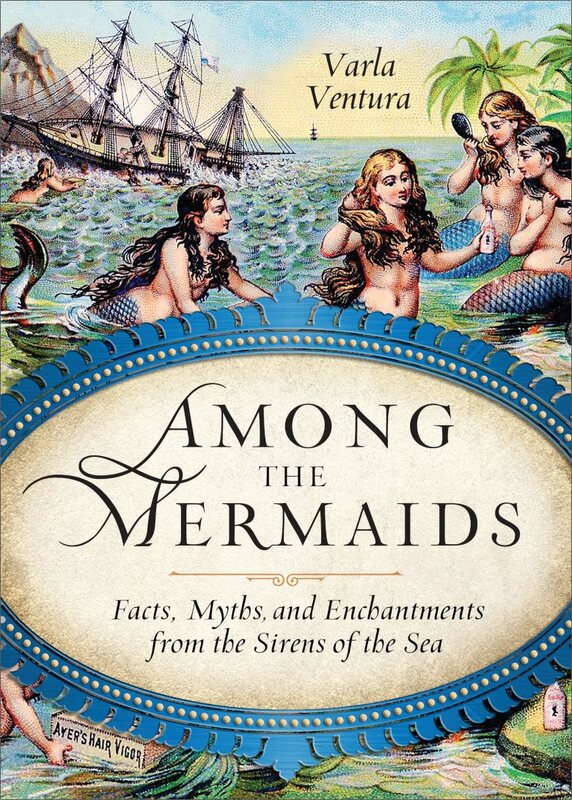 Here the quirky, factoid-and-lore-obsessed Varla Ventura takes a dive into the briny deep with Among the Mermaids a newly curated collection of classic stories, facts, and tales of mermaids, sirens, selkies, and all manner of fishy business beneath the sea. This entry was tagged Among the Mermaids, Varla Ventura. Bookmark the permalink.